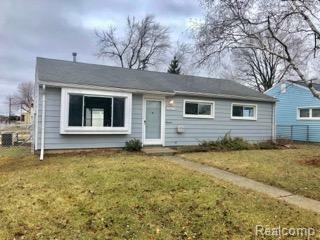 Ready to Move-in, Remodeled 3 Bedroom Ranch on a corner lot in a quite neighborhood. Your New home has a New Kitchen with Granite counter tops and Stainless steel appliances. New water heater, Carpet and fresh Paint through out. This home also has a newer furnace and windows. It is located close to schools and freeways.